Earlier this month, Arthur and I visited Chicago’s Lincoln Park Zoo. Naturally, we focused on visiting the resident birds. We passed a flock of Chilean Flamingos in the Flamingo Habitat on our way to the Blum-Kovler Penguin-Seabird House. There are two main enclosures inside. 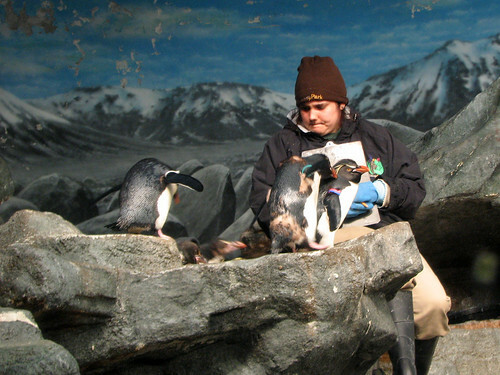 One housed penguins: Chinstrap, King and Rockhopper. They were being fed by a zoo employee, who also looked to be recording data. Next we stopped to look at the seabirds: Common Murre, Razorbill and Tufted Puffin. Their enclosure was being cleaned, so most birds were in the water. It was a lot of fun to watch them swimming – especially when they completely submerged, appearing to fly underwater. 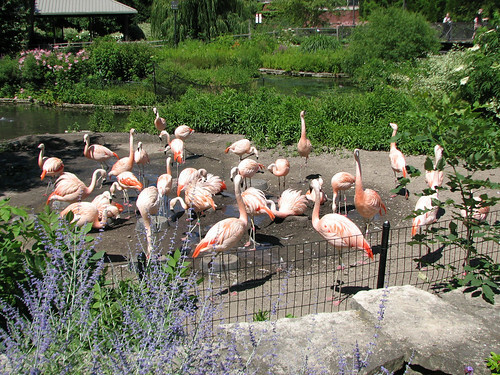 Stay tuned for more birds of Lincoln Park Zoo, coming soon! This entry was posted in Video, Zoo. Bookmark the permalink.